With a number of Clearwire shareholders still opposing the proposed deal to be acquired by Sprint, Clearwire announced that it would not access available financing from Sprint while it continues its consideration of the offer from Dish. The Board of Directors for Clearwire has already recommended, and continues to recommend to shareholders that the proposed deal with Sprint, priced at $2.97 per share, be allowed to proceed. However, in the face of a competing offer from Dish Network at $3.30 per share, a number of shareholders in the half of Clearwire that Sprint does not already own are not currently amenable to the Board’s recommendation. One significant shareholder, Crest Financial, owns 8% of Clearwire and is arguing that Sprint's offer not only under values Clearwire, but the spectrum licenses it holds. as good stewardship of investments, but the problem is that Sprint, who owns just over half of Clearwire’s stock, would certainly block any deal with Dish Network. Masayoshi Son, CEO of SoftBank, and soon-to-be controlling interest owner of Sprint, is counting on Clearwire’s spectrum holdings to accelerate Sprint’s 4G/LTE services. The other problem that Clearwire has is that it does not have any money and Sprint has been the struggling carrier’s meal-ticket for the past couple years. Clearwire has not tapped the available financing for the past couple of months so that it would not sour discussions with Dish Network. 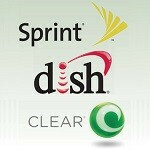 It is possible that Clearwire is keeping the Dish offer alive in hopes that Sprint might revise its offer, but Sprint does not have a lot of cash either, and the cash it is using now is financed from SoftBank through bonds that were issued following SoftBank’s announcement that it planned to buy an 80% controlling stake in Sprint. Dish is looking to acquire an operational carrier to accelerate its own deployment of spectrum for wireless service for which it just received permission to deploy from the FCC. However, Dish’s offer to Clearwire is packed with conditions which Clearwire is not in a position to permit, such as, Dish’s demand that it can appoint members to the Board of Directors. While the demand is not necessarily uncommon in some circumstances, Sprint, as the majority shareholder controls that decision. Clearwire may have to bite the bullet and access financing from Sprint by the end of February, which will certainly not endear Dish to continue its talks. If Clearwire’s Board of Directors were to change its recommendation, Sprint could choke off the financing and push for an immediate vote for its proposal. Didnt Dish already officially pull out of this deal? Their offer was denied and Dish retracted their bid. Dish is still pushing its offer, but to be honest, it is highly unlikely Sprint would approve such a motion to the shareholders. I dont think so. You dont want those shareholders to sell. I think this is a great move for the company and for a long ferm shareholder. I think Sprint will be the one to invest in at this moment once their LTE takes off.